A vendemmia 2018 is back for the ninth year, bringing together renowned names in the fashion, wine, restaurant and hotel industries in Milan’s Fashion District from October 8 to 14. 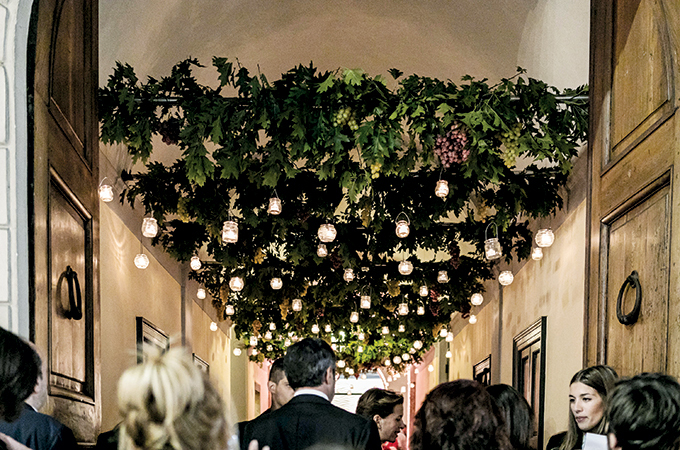 Promoted by Montenapoleone District in partnership with the Comitato Grandi Cru d’Italia, the event is preceded by the beginning of grape season throughout Italy. The fruits of previous harvests can be savoured during the event, bringing together top international luxury fashion brands and leading Italian and international wineries, with the participation of the city’s best restaurants and five-star luxury hotels. Over 110 MonteNapoleone District associate boutiques in via Montenapoleone, Verri, Sant’Andrea, Santo Spirito, Borgospesso, Gesù and Bagutta will offer their customers a unique shopping experience. To make La Vendemmia even more inclusive and more significant for the city, this year, for the first time, the by invitation only event will also include a number of boutiques belonging to the Amici di via della Spiga association. For the entire week, locals and tourists will have the opportunity to book lunch and dinner, at a special price, at some of the most renowned restaurants in the centre of Milan offering the La Vendemmia menu. Milan’s luxury five-star hotels will also offer exclusive wine experiences as part of their Five Star Luxury Hotels – La Vendemmia packages that include a VIP Pass for the opening evening and related events. This full, comprehensive programme is also supported by the partnership with the 88th International White Truffle Fair scheduled from October 8 to November 25 in Alba. Enthusiasts will be able to experience the excitement of a truffle hunt in the Langhe and Roero area. Accompanied by the trifolau, an expert truffle’s hunter, and his dog, they can venture into the woods in search of the precious subterranean fungus.